The option is currently rolling out in Canada, Peru, Venezuela, and the United States. 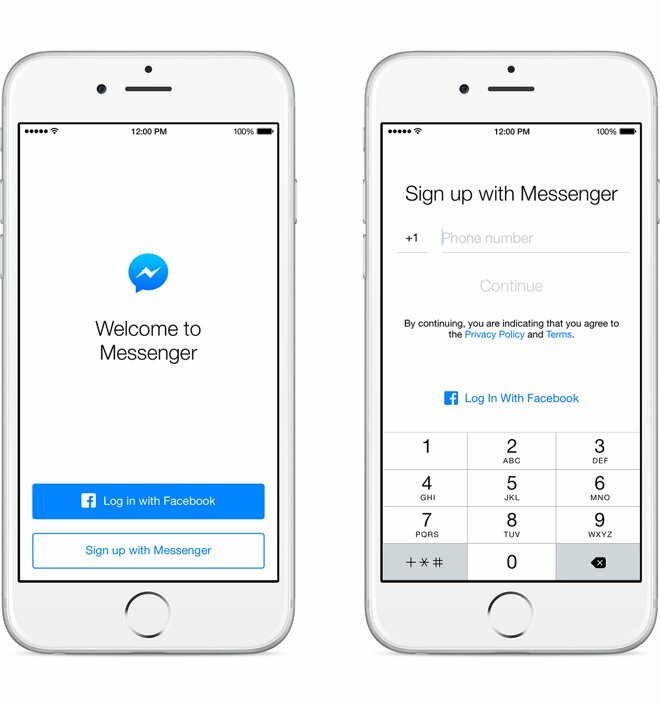 People opening up the Messenger iOS or Android apps for the first time will see an added link letting them join Messenger with just a name, phone number, and contact photo. Most of the apps' features will still be available this way, including voice and video calls and sharing media like photos and videos. Signing in with a Facebook account is still strongly encouraged by the company however, since this not only imports friends from the social network but triggers message alerts across multiple devices and the Web. Facebook has been gradually working to turn Messenger into its own platform. The process began by breaking Messenger out of the main Facebook app, and has accelerated in the past year, the biggest push coming in March with the introduction of both a third-party API and Messenger Business, the latter letting businesses chat with customers, send receipts and shipping info, and even process transactions.